The modular NEMA® design of the PM400 delivers unmatched phosphine fumigation performance. The user may access multiple sampling points onsite or remotely via a secure encrypted web portal. Phosphine concentration values for each zone are viewed in real-time then automatically archived for later review. This actionable intelligence transforms raw data into informed decision making. 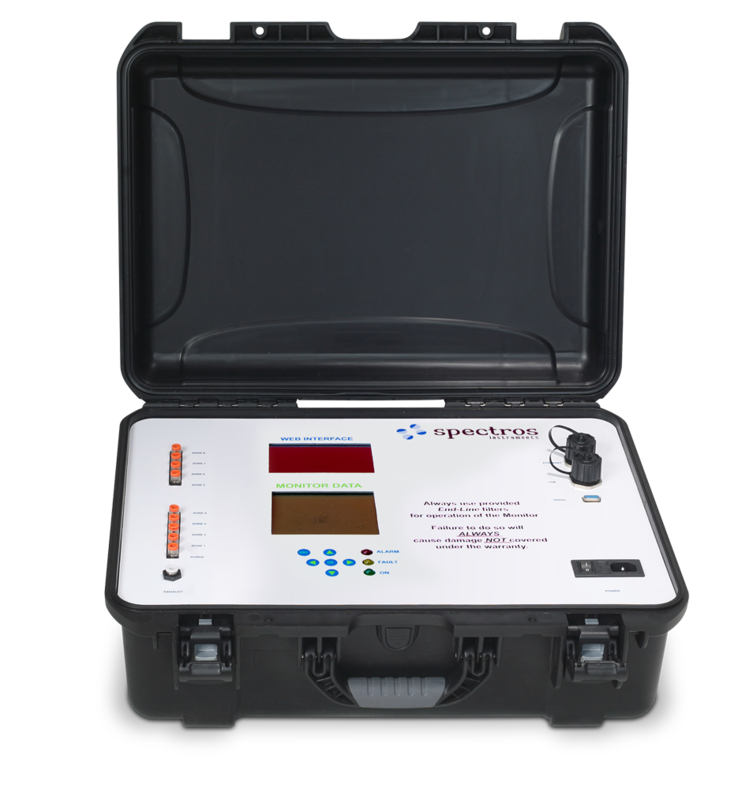 The Spectros Instruments Web Portal is a diversified sensor platform for fumigation gas concentrations, temperature, relative humidity data and more. System users can access status conditions and review data logs online through any web-enabled PC. Validated, 256-bit SSL Encrypted, Secure Data enabled via Amazon Web Services (AWS). Our fumigation monitors are constantly offering to transmit accumulated data and as such pose NO security risk to any customer's firewall configuration. Size/Weight 22”H x 14”W x 6”D / 16 lbs. Warranty 1 Year from date of shipment. All non-wetted parts.